What’s Up Wednesday is a weekly meme geared toward readers and writers, allowing us to touch base with blog friends and let them know what’s up. Should you wish to join us, you will find the link widget at the bottom of Jaime or Erin’s blog. 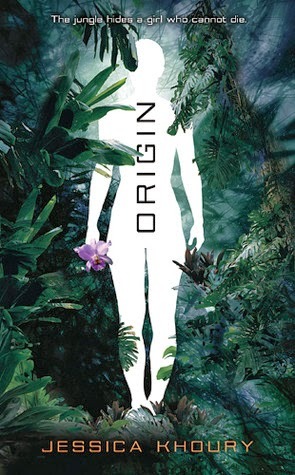 Still working on Origin. I had to take a break from it to read The King by J.R. Ward. It’s been a while since I’ve visited the world of the BDB, and The King did not disappoint. Confession: I skipped Tohr/Autumn and Blay/Quinn books but I couldn’t resist returning to Wrath and Beth. Love them. I thought I would love editing. Here was my opportunity to clean things up and make everything pretty. I could add the details and the nuances. It was going to be AH-MAY-ZING! Okay, maybe not so much with the blood and flying eyeballs, but you get the point. Still, we must soldier on. I’ve also been really inspired by the music of this great new band I found, of Verona. I’m absolutely in LURVE with this artist. Their music has a haunting quality that sticks with you. I’ve been up to a LOT in the past week! Friday brought a much needed gathering with wonderful friends. I’m truly blessed to have such amazing people in my life. Backing up a bit, Thursday brought Spring: Texas Style. We had one heck of a storm, complete with tornado warnings. While the tornado decided to stay north of us, we did get a hail storm. Yay, spring! So what are you up to? Hope everyone has a great Wednesday! Wow, that's some serious hale. Good luck with your revising. I definitely like drafting a lot better than revising too. That is probably why I end up spending 5 times longer revising a manuscript than I spent drafting it. The fun stuff goes way faster. Good luck pitching at your upcoming conference. I met my former agent at a conference, so it can happen. Yep, those pictures pretty much sum up editing. 😛 I find it drains my energy much more than drafting does. that hail is huuuuuuuuuuuuuuuuuge! Whoa! 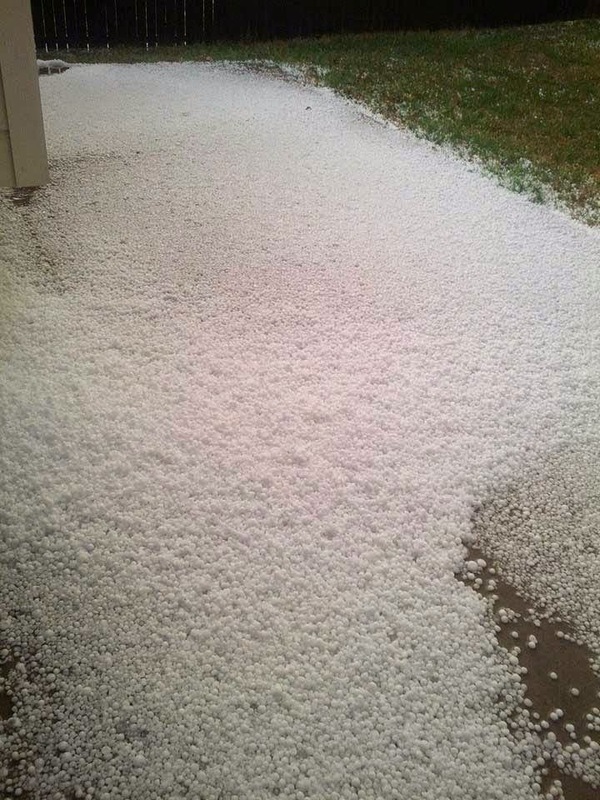 We've been getting crazy hail like that the past few summers here in Alberta. We actually had a car completely dented (like a golf ball) from a hail storm like that. Eek! Hope the tornadoes stay far, far away! I know what you mean about editing. I feel a bit like the guy losing his eyeballs and bleeding all over the place. Here's hoping it gets a bit easier for both of us! I haaateee editing too! I sympathise with all those GIFs so much. I'm totally with you on revising. Writing first drafts is so much more fun. Revising is just HARD. Good luck with your pitching! And all the revising! I actually love both drafting and revising (I'm weird like that) and kind of can't wait to get out of brainstorming stage (well, never totally out) to start drafting a new one. Good luck this week! Thanks! I think since this is my first book, everything in the process seems so overwhelming. My new motto is “One chapter at a time.” I'm sure I could break it down into a smaller chunk, but for editing, if I can take one chapter at a time, I think I'll be good. Thanks for stopping by! Yes! That's how I feel right now. My inner editor (a.k.a. “Kitten Heels”) is constantly rearing her perfection-driven head and makes my life hell. Everything looks so cool in my head, but I feel when I translate it to the page, it loses something. I'm sure with each pass, it will get better. Thanks for the words of encouragement. I have to keep reminding myself that with each pass it will get better. 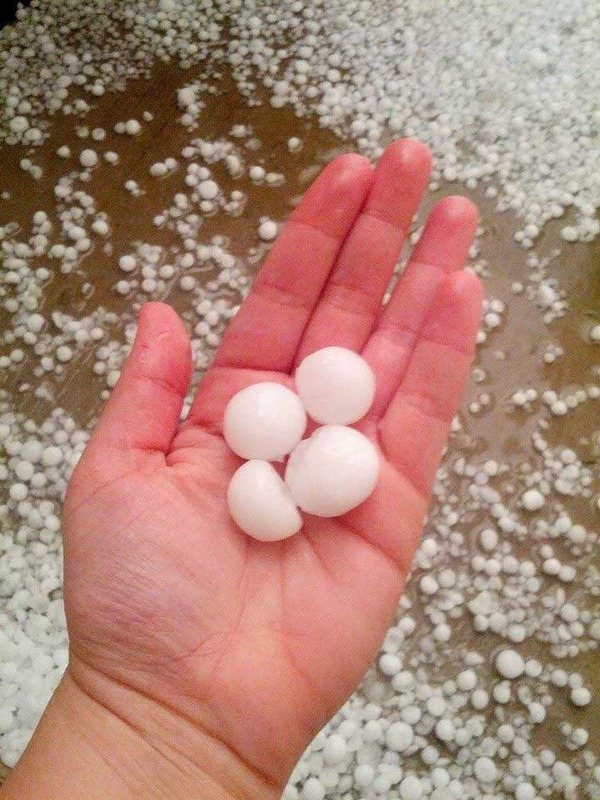 Sounds like we have similar hail stories! In 2011, my car was dented beyond repair by golf-ball sized hail from a tornado that traveled about a half mile from my office building. This storm, while lacking the tornado, did bring enough hail to have our roof replaced and allowances for AC unit, play structure, and gutter repair. Editing…sigh. Yes, here's to hoping it gets easier! Haha! A strong dislike of editing seems to be a general consensus right now. I'm sure by the end of the process, I'll be bald and rocking in a fetal position in the corner. I think I like all the messiness of the first draft, even though I've had days where I want to cry over the keyboard while drafting. Of course, it took me about 1.5 years to finish this draft (the joys of writing off-and-on). Now that it's done, it seems a less daunting task for future drafts. Nice to meet you too, Rachel! I suppose I can't really say I dislike revising so much, since this is my first book and my first time revising a book. That being said, it's very overwhelming right now. Drafting I didn't mind, but it was so off-and-on because I was finishing out my last year of school, so it took FOREVER! Thanks! I actually love the brainstorming phase. I have stacks of multicolored post-its and a “wall of plotting” I like to use. I think I underestimated the hugeness (is that even a word?) of editing a finished manuscript. I will conquer it, though! No! No bloody, flailing arms and eyeballs! Yeah, I know how you feel, though. It can be so very frustrating. Good luck pitching at the conference! What a great opportunity. Have a wonderful weekend (with no tornadoes or hail!). Thanks so much! As of last night, there are no more flailing, blood-soaked parts. I'm so fortunate to have great beta readers, and their feedback has been invaluable. I'm excited for the upcoming editing tasks I have, mostly because I know they'll make the story stronger. Have a great weekend and thanks for stopping by!